Don't be under the impression that social media is only for amateurs and celebrities. If you are a business marketer who is looking to connect with potential customers, you shouldn't ignore social media as the effective marketing channel it is. Here are 6 infographics from Garyvaynerchuk visualizing how to produce content for Facebook, LinkedIn, Twitter, Tumblr, Instagram and SnapChat that can help you achieve the results you want. 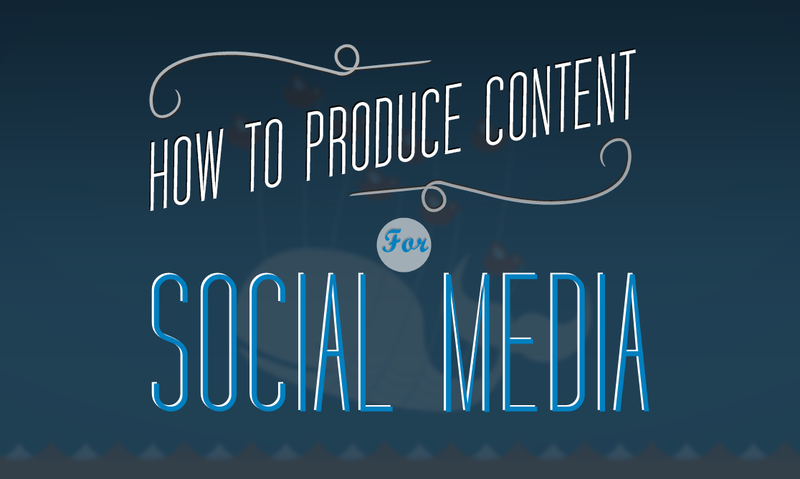 This infographic looks at the types of users on Facebook and keys to a perfect Facebook post. 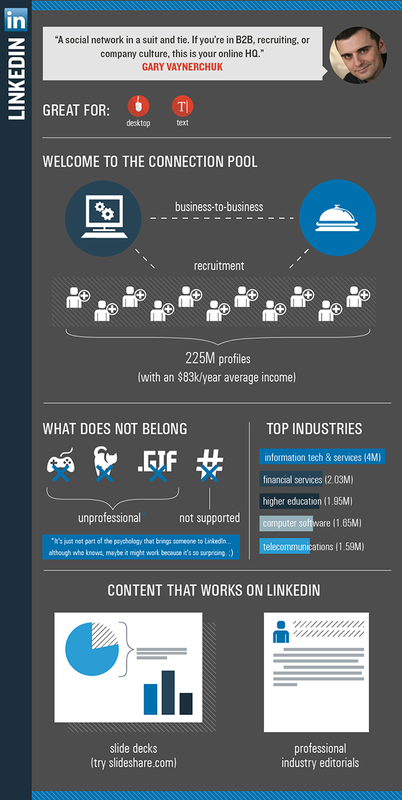 What Works on LinkedIn? This Does.